When talking about restaurant businesses, the point of sale (POS) system is playing a key role in managing the restaurant operations. With its beginning around 45 years ago, the software has acquired a good market place by the end of 2000. Since then the restaurant POS system has advanced and becoming more better with its advanced features which make it the best tool for describing a restaurant's success. Seeing the success rate, more and more restaurant is moving forward to integrate the POS software into their restaurant. This tech solution has offered restaurant to make their tasks simpler and to progress at a faster pace. Technology impacts every aspect of the business. POS is just a part of it. It helps the managers and restaurant operators to track inventory, better control whitelists, access real-time data, manage an online reservation list, and lots more. In simple terms, the technological features help the restaurant to build a seamless communication. Nowadays, the restaurant solution is being provided to make the system more operation oriented, customer friendly, and offer flawless compatibility with each component of the restaurant system. Better Connection Between Front of House (FoH) and Back of House (BoH): With the complete integration of point of sale systems, loyalty programs, scheduling software, kitchen display system, and guest management system help the operators to increase efficiencies and help in offering a better dining experience to the customers. Better Customer Service & Experience: The integration of the software help the restaurant to serve the favorite meal in the correct time thus increasing satisfaction and the chances of a revisit of the customer to their restaurant. Optimized Restaurant Operation: The POS system reduces the friction rate between FOH and the kitchen and also help in decreasing the table turn time. The software helps the manager to inspect both the ends of the restaurant to effectively working on it by providing the best host services to the provider. Higher Employee Satisfaction: The software helps in building better coordination between FOH and BOH helps the employee to carry out easy and calmer operations. This helps in offering better employee satisfaction. Real-Time Data Reporting: The software decreases the chance of recurrence of errors while managing and reporting the data. This helps the operator to analyze the weaker are and to overcome the operational inefficiencies. We are living in the era of technology and with this, the online ordering and many other food ordering apps have taken the restaurant business to the new level. This technological advancement meets our on-demand dining services and availing it wherever they like. Also, the restaurant is able to create a new revenue stream that was not available previously. 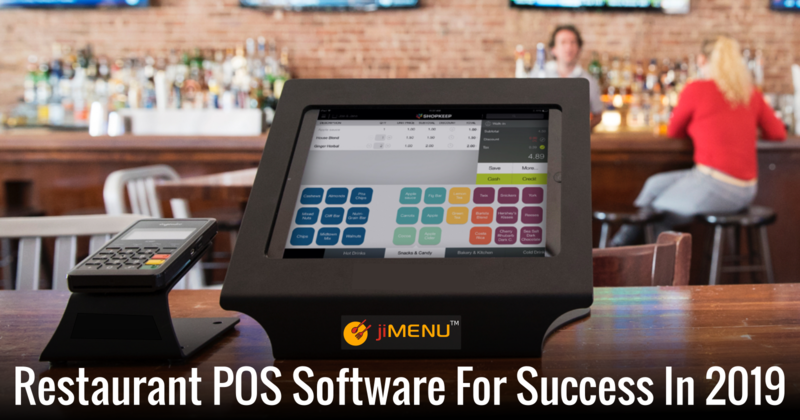 With the evolution of the POS software, jiMenu comes with a better and more advanced feature that offer the best user-experiences to its customer and hence accelerate the growth.